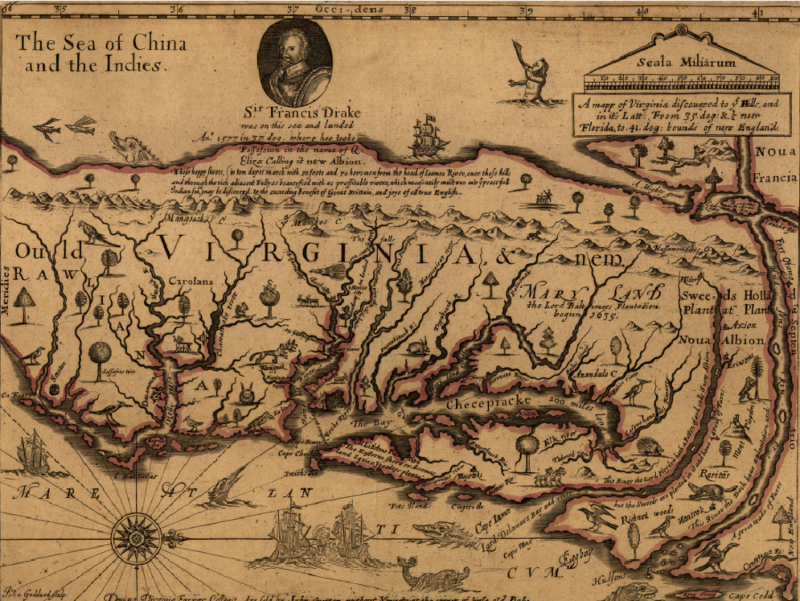 Sailors exploring the western edge of the Atlantic Ocean were the first English to see Virginia. 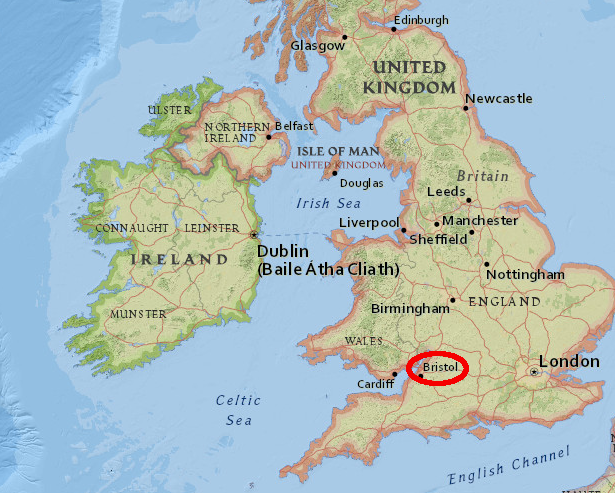 Since England is an island separated from Virginia by an ocean, no one could walk from London to the Chesapeake Bay. It took roughly another century before England seriously began to exploit the potential of the New World. Internal disputes during the era of King Henry VIII and his first two successors, Edward VI and Mary I, reduced the capacity of the wealthy elite to fund high-risk journeys of exploration and settlement. The Muscovy Company had been established in 1555, after English sailors reached the northern coastline of the Duchy of Muscovy (now Arkhangelsk in Russia) and defined a Northeast Passage. The English sought to dominate the fur trade between Europe and Siberia, and to find a port with an overland route with China that was not contested by the Spanish, Portuguese, or Hanseatic League which dominated the Baltic Sea. In the Sixteenth and Seventeenth centuries, kings and queens of England depended upon the private sector to finance the expansion of the country's economic and political power through discovery. The first English efforts to settle in North America were by private corporations and venture capitalists seeking profit through exploration, with minimal government support. The Muscovy Company was the first joint-stock company in Elizabethan England. 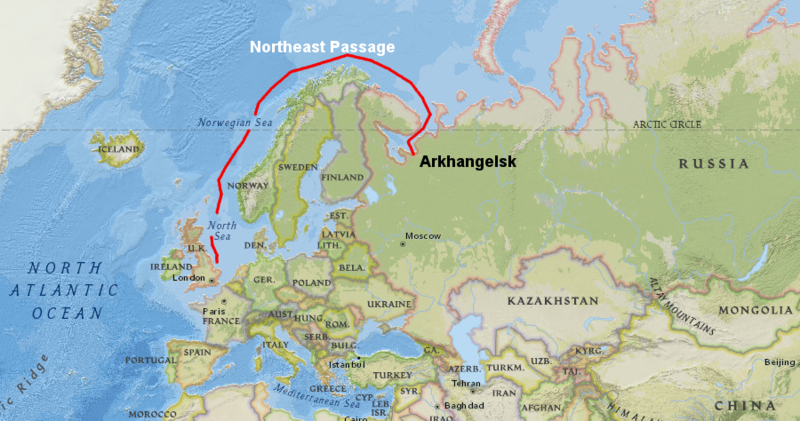 At the time, no single family could finance high-risk explorations to exploit the Northeast Passage or discover the fabled Northwest Passages. The joint-stock company pioneered by the Muscovy Company allowed enterprising individuals to pool a portion of their capital and "adventure" those funds in hopes of getting rich. That established an economic model for private capitalists to finance exploration 50 years before the Virginia Company funded settlement in Virginia. Today's venture capitalists follow the pattern established in the 1500's of pooling accumulated wealth and sharing risks. In the modern era, space exploration offers the closest parallel to the opportunities provided by exploration of North America 400-500 years ago. However, governments funded the initial efforts in space. The United States, Russian, and European governments paid the costs for initial launches of satellites and humans for the first 50 years, in contrast to the model used by Queen Elizabeth I to rely upon private financing in the 1500's. Venture capitalists began funding near-earth spaceflights starting in the early 21st Century, but inter-planetary probes still rely exclusively upon government funding. Gilbert's half-brother, Walter Ralegh, quickly obtained a renewal of the charter or "Royal Patent" in 1584. 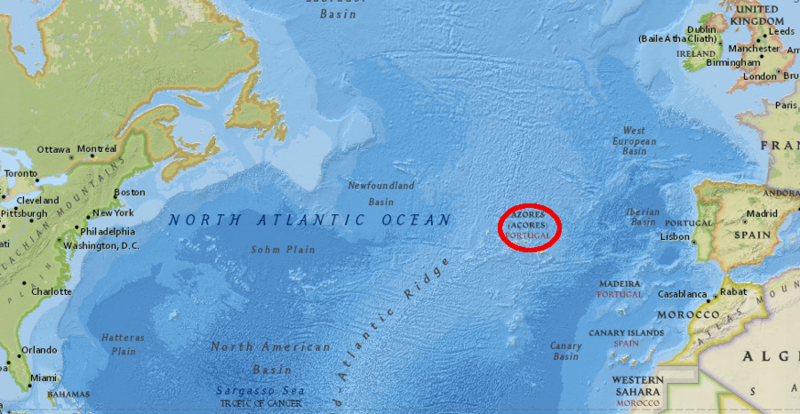 Ralegh decided to move the location of the proposed colony further south. Though the climate would be warmer than Newfoundland, the colony would be closer to the Spanish in the Caribbean so the danger of attack would be much higher. Ralegh sent a scouting party to North America in 1584, commanded by Philip Amadas and Arthur Barlow. They reconnoitered Roanoke Island and returned with two Native Americans, Manteo and Wanchese. Carrying those two men to England provided a rare attraction that was useful in marketing the venture to potential investors, plus an opportunity to create translators between Algonquian and English languages. 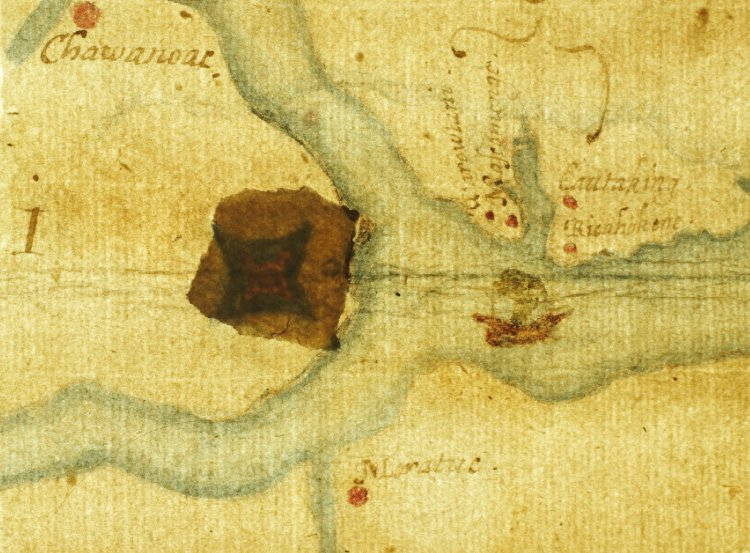 Ralegh honored Queen Elizabeth I and helped cement his authorization for exploration by naming the place "Virginia." He arranged for the younger Richard Hakluyt to write a Discourse on the Western Planting, articulating reasons for supporting colonial expansion. Ralegh's hopes that Queen Elizabeth would respond to flattery or to reason by funding future expedition were not rewarded. She knighted him, but only loaned a small navy vessel to his efforts. At the time, she feared a Spanish reaction to open government support of colonization in La Florida. The Spanish had slaughtered French colonists in 1565 after they attempted to create a colony at La Caroline (now Jacksonville, Florida). There is little doubt that a primary consideration in the plans of Raleigh and Grenville was the creation of a strong military base at a reasonable distance from Spanish Florida, but capable of protecting vessels assembling for raids on the Indies and refitting after their return. The seven ships under Ralph Lane and Richard Grenville arrived at the Outer Banks in June, 1585. A second fleet was supposed to sail from England in June 1585 to support the new settlement. Starting the colony was an expensive venture, and could require years before benefits exceeded expenses. Ralph Lane had stayed in what Ralegh called "Virginia" when Richard Grenville sailed home in 1585, and on the way back Grenville's ships joined in the attack on the Spanish fishing fleet. 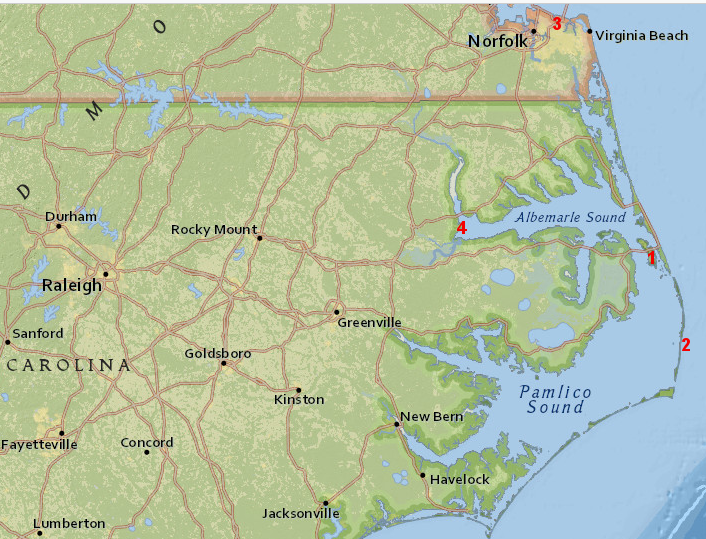 Lane soon moved the settlers north from Wococon (near Ocracoke) to Roanoke Island. Since the English had arrived so late in the summer of 1585, there were no crops in the ground that required the colony to stay on Wococon. Lane expected to move north from Roanoke Island after the corn was harvested in July, establishing the colony on the south shore of what would later be called Hampton Roads. However, Francis Drake arrived on June 11, 1586. He had raided Spanish outposts further south at Santo Domingo and Cartagena with success, but then abandoned plans to cross the Isthmus of Panama or to capture/garrison Havana until another fleet from England would bring reinforcements. After sailing through the Florida Channel, he had destroyed the wooden fort and town at St. Augustine in Florida. Drake offered to supply Lane and the colony with new supplies, including clothing, furniture, and hardware for constructing houses (which the English had stripped from St. Augustine before burning it). Lane was most interested in the pinnaces and small boats that Drake would provide, because they would facilitate exploration of the shallow waters of the "Virginia" coast from the Outer Banks north to the planned new settlement location on the Chesapeake Bay. Drake had extra men, including 300 South American Indians and 100 black slaves captured in the Caribbean. The challenge for the colony was food. The corn crop would not be ripe for another month, and there was not enough to feed the additional people that Drake offered to leave behind. Richard Grenville was overdue with the planned resupply from England for the colony, and might not ever arrive. While Lane and Drake were making plans, a hurricane struck and destroyed several ships. On June 18, 1586, Lane and the other colonists hurriedly abandoned the Virginia colony at Roanoke Island and returned to England with Drake. Three men were left behind, becoming the first "lost colonists." Their presence on Roanoke would mean that the bulk of the first permanent settlers of England�s initial New World colony were neither Christian nor European but North African Muslims as well as followers of West African and South American traditions. In 1587 Ralegh partnered with others to send another group back to New World. That group (including women and children) was led by John White, who had been with the colonists that arrived in 1585 and returned with Drake in 1586. 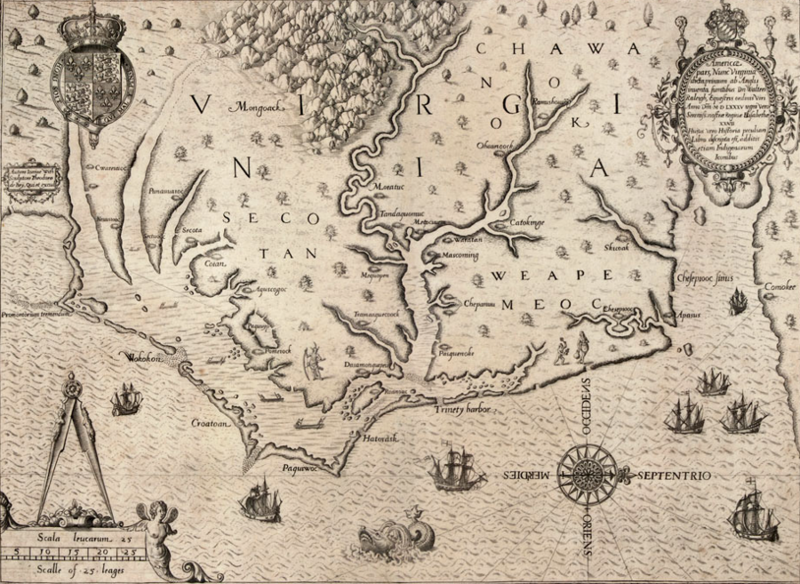 The intent was to build a long-term settlement with over 100 colonists somewhere north of Roanoke Island, possibly in the territory of the Chesapeakes. After reaching Roanoke Island, White discovered that Grenville's men had disappeared (the second set of "lost colonists"). 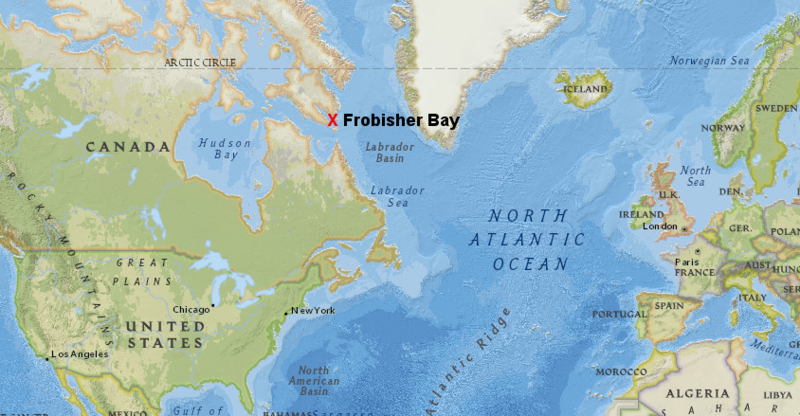 The expedition's pilot, Simon Fernandez, was unwilling to continue north. Fernandez's priority may have been to capture prize ships, and delivering the colonists to a new location would delay his opportunity to get rich through privateering. Key to that claim is that her mother was English. English sailors on previous expeditions, as well as their Spanish counterparts, may well have fathered children with Native American mothers. Ralegh was unable to send another expedition immediately. His large 1588 expedition was blocked by an order from the privy council; all ships were required to defend England from Spanish attack. Ralegh was able to send two small vessels with John White, but they ended up privateering and fighting French ships and never crossed the Atlantic Ocean. The English ships that finally reached Roanoke Island in 1590 were a privateering expedition. They agreed to stop at Roanoke Island only in order to get authority from royal officials to sail across the Atlantic Ocean, at a time when the Spanish threat was still high and ships were being kept close to port in case of another attack. Three privateers were supposed to carry supplies and passengers to Roanoke Island, and two others agreed to stop there. It appears some of the promised supplies were loaded in England, but no passengers other than John White. Travel across the ocean was slow, as the privateers laid in wait along sea lanes and sought to intercept Spanish ships to capture as prizes. 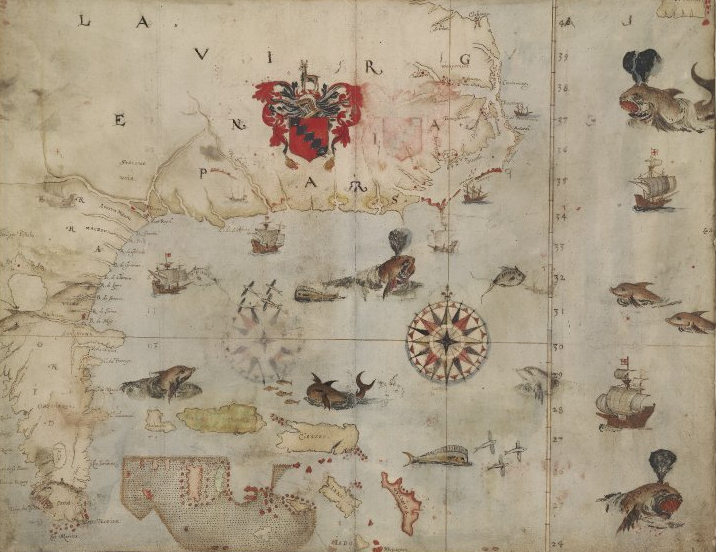 The main plan was to lurk around the West Indies to determine when the Spanish treasure ships sailed east, then send a fast ship to an English fleet waiting at the Azores. The English ships in the Caribbean would also sail east to help intercept the Spanish fleet near the Azores. When White returned he found only "CRO" carved on a tree and "CROATOAN" on a post. The ships sailed away without examining Croatoan (Hatteras) Island in detail due to approaching storms. John White never saw his granddaughter Virginia Dare again, and the settlers at the "Lost Colony" were never found. For the next 15 years, English capitalists focused on quick profits from privateering, and dropped their interest in creating either a military base or a colony on the North American coastline. Ralegh's patent giving him exclusive rights to settle near Roanoke Island expired in 1590. He might have obtained a renewal, but in 1592 Queen Elizabeth discovered he had secretly married one of her maids of honor without the queen's permission. She jailed him in the Tower of London, and upon his release he shifted his focus to finding the rumored city of gold (El Dorado) in South America. In 1602 Ralegh funded a trip to Cape Fear, but that expedition only collected sassafras (used as a drug in Europe) and did not search for the "Lost Colony" 175 miles to the northeast. 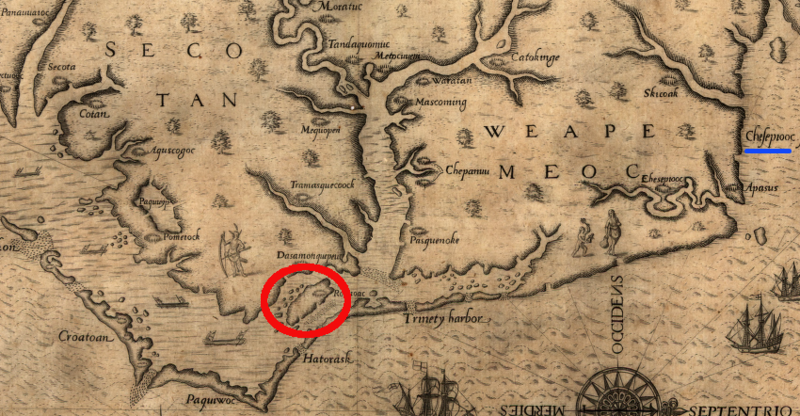 The colonists left behind in 1587 may have moved north and lived with the Chesapeake tribe on the Elizabeth River (near modern Norfolk/Virginia Beach). 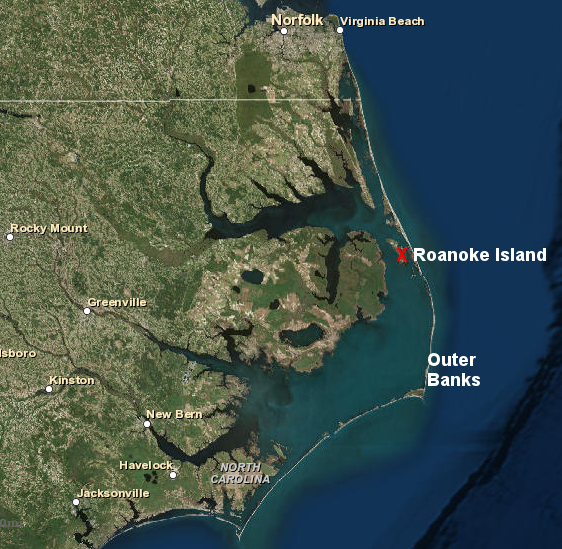 The original plan for that 1587 expedition was to settle on the Chesapeake Bay where there was a good harbor, and leave just a military/privateering base at Roanoke Island. Alternatively, the 1587 colonists could have moved inland to live with friendlier Native Americans where the Chowan and Roanoke rivers reach Albemarle Sound. The English men were not known for their sensitivity towards other cultures. If the local residents objected to the colonists' assertive/arrogant behavior, then the men might have been killed. The women and children had a greater chance of being incorporated into the Native American towns, and their genes may still survive in the area. If so, they are also blended with the genes of enslaved men and women who fled into the wetlands in the 1700's to join what were then called the Machapunga. If the lost colonists melted into the Croatoan and then the Machapunga, their fate is rich with historical irony. By the late 19th century, a popular myth imagined Virginia Dare as a beautiful blond-haired and blue-eyed virgin in a wilderness filled with dark savages. She also was a powerful symbol of white supremacy in the Jim Crow South. If she lived to have a family of her own, the most likely descendants of this fancied forest damsel are the African Americans now living within a few miles of her birthplace. In 2012, British Museum officials examined a patch covering a spot on one of John White's maps, "La Virginea Pars." They discovered underneath the patch a four-pointed star, indicating the site of a previously unknown fort that could have been a re-settlement site on the Chowan River. White may have purposely omitted references to that location in his writings, other than making a vague reference to a site 50 miles inland, because the Spanish had spies with access to documents circulated within the English court. By the time Jamestown was settled in 1607, the Europeans had a familiarity with the coastline of North America equivalent to what we know today of the moon. Some areas they knew well from multiple visits, while other locations were largely unexamined. Inland, however, the geography was poorly understood for a century after the 1587 Roanoke Island settlement became the Lost Colony.